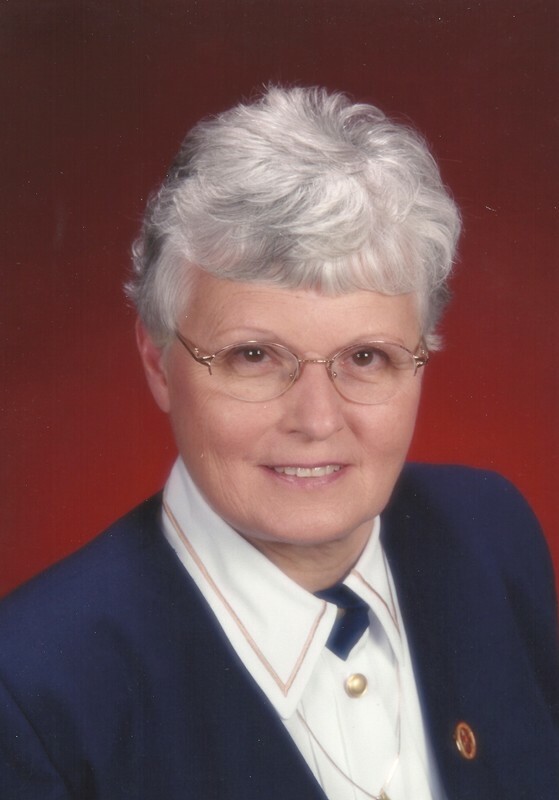 Sister Bernadette LaPorte was born in Saint Joseph, Ontario on October 1st. 1932, the daughter of the late Noel and Rena (Ducharme) LaPorte. She entered the Ursuline Community on February 27th, 1951. From 1951 until 1966 she served the Ursuline Community as a homemaker and a Food Service Supervisor. She then furthered her education. In 1968 she attended Brescia University College where she pursued a BA in French and went on to Teacher’s College receiving a French Specialist designation and began a career teaching in Windsor. This career spanned a 26 year period. After retiring from teaching, Sister Bernadette returned to Brescia and volunteered in the Pastoral Care Department for 2 years at St. Joseph Hospital before she was hired at University Hospital where she served eight years as Chaplain. Currently, Sister Bernadette is living at Villa Angela in Chatham where she is a vital part of the community life.